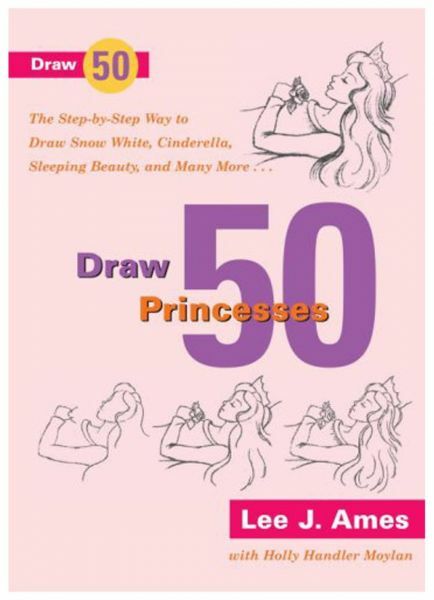 Draw 50 Princesses teaches aspiring artists how to draw with ease by following simple, step-by-step instructions. Acclaimed author Lee J. Ames shows us how to draw an enchanting variety of beautiful princesses, including beloved favorites from fairy tales like Cinderella, Sleeping Beauty, and Snow White as well as princesses from around the world. In these pages youll also find a castle, a throne, Prince Charming, and much more. Lee J. Amess drawing method has proven successful for children and adults alike over the past thirty years. The twenty-nine books in the Draw 50 series have sold more than 3 million copies and have shown everyone from amateurs to experts how to draw everything from animals to airplanes. Even the youngest artists can make these elegant ladies look great. Its easy to draw princesses when you do it the Draw 50 way.